I swung by the library early this week, on Wednesday evening. I picked up a book I had on hold and picked out just one other. This week is going to be a bit crazy, so we will see if I get them both finished before the end of the week or not. I have started both of them already. While at the library, I popped into the "Friends of the Library" store. It's located in the antechamber of the library entrance and offers all kinds of books for sale with the proceeds supporting the library. I mostly just wanted to see what sort of stuff they carried, since I hadn't been in before. They won my undying loyalty when I discovered late 1970's editions of Mark's Standard Handbook and Machinery's Handbook tucked into their shelves. $30 later I walked out feeling myself to be a very lucky lady indeed. Hi MrsDragon! *waves* Found you! Most old technical books aren't worth too much more than the nostalgia factor, either because I already have the pertinent information in my college text books or because they are wonderfully out of date. 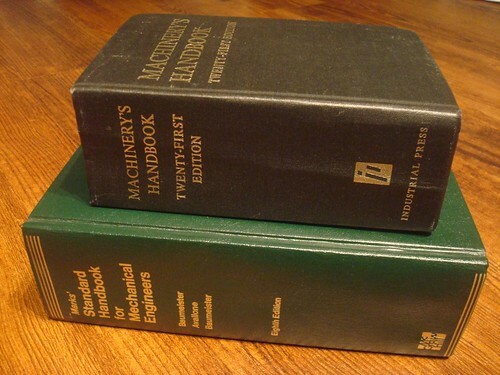 These two are special in that they are considered the "bibles" of mechanical engineering and the older versions don't vary much from the newer (the size of a screw, once standardized, doesn't change). The other technical books were $2-$3, whoever priced these knew what they had. Still it was a hell of a deal. New these would have run me $200. GET THIS: our library has a similar book sale shop, and it's "any hardcover for a dollar, any paperback 50c or 3/$1." I KNOW RIGHT???? That is awesome! 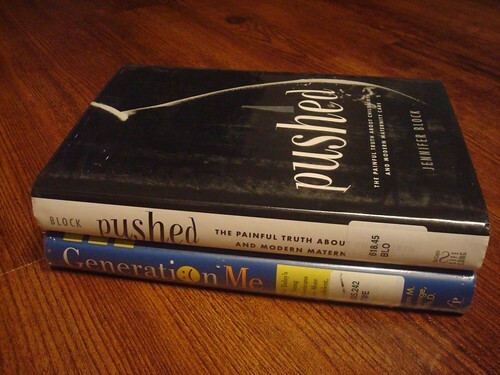 : ) 2012 is becoming The Year the Library Became My BFF.